CHORD Chord Double X Frame Keyboard Stand (black) vinyl at Juno Records. 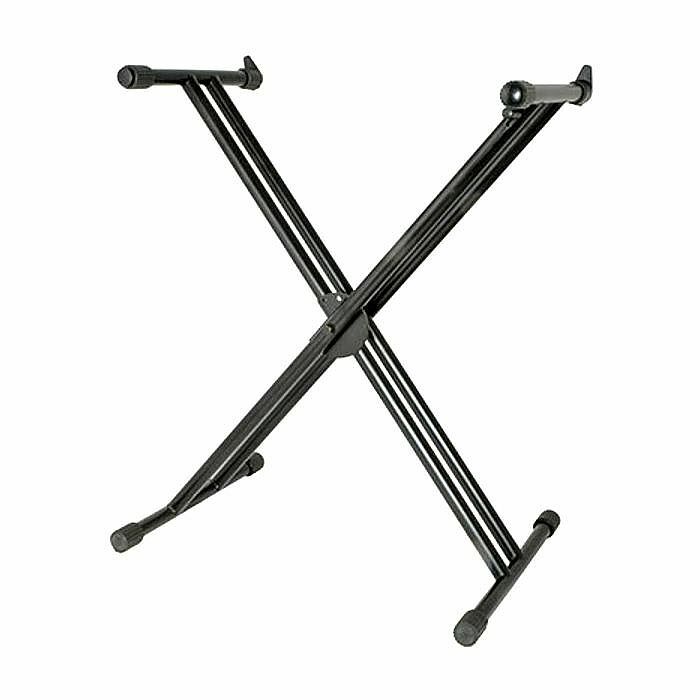 X-frame keyboard stand with rectangle section steel braces and round tube section feet and support arms. Textured anti-slip sleeving on tube aids grip and is designed to stop the keyboard sliding forward. Pull and lock mechanism enables quick setup and secure positioning.